52 beautiful, expertly serviced rooms are all individually decorated with their own unique 'personality'. Craigmore is an ideal base for walking or touring, sitting in the heart of the Loch Lomond and Trossachs National Park. Just 30 minutes drive from Stirling and within an hour’s drive of both Glasgow and Edinburgh. 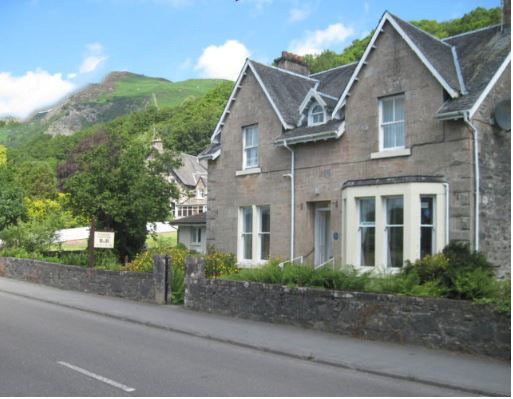 Craigmore Guesthouse is just a two minute walk from the centre of Aberfoyle. Overlooking the river Forth, this superbly positioned Bed and Breakfast has picturesque surroundings and views of Ben Lomond right outside the front door.